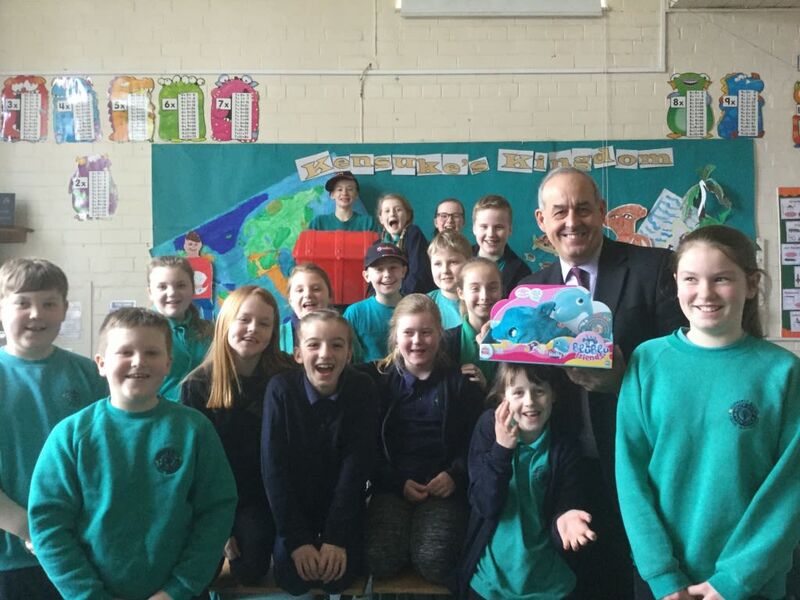 Today (09 March 2018) I visited Ysgol Nannerch to talk about Parliament and to see how they are running their own schools committee. During the visit I had the chance to discuss what the role of an MP is, how laws are made, and how people can influence the UK Government. But the pupils were keen for me to learn about their schools committee system. The visit came about following an invitation by a pupil to see how the school has been improving the children’s understanding of politics. Currently, the school has undertaken debates, the most recent followed on from the book they read last term – Kensuke’s Kingdom by Michael Morpurgo. The book focuses on a boy who sails around the world and encounters some unfortunate circumstances. The pupils debated whether they would sail around the world or not. Other debates they have held include whether pupils should be allowed mobile phones in school. The school committee system. The students sit on committees that focus on different aspects of school life including: the Good Food Gang, the toilet committee, the playground committee. When I was emailed by a student of Ysgol Nannerch asking if I would like to visit I was delighted to accept. Normally I talk to the pupils about my role and how laws are made, but I was pleased that the students were eager to tell me how they hold responsibilities to manage their school through the committee system. We need to make sure that the next generation understands that being involved in society is important. Getting children used to voting, petitioning and raising questions at such a young age allows them to know that they have the power to change things. I cannot praise the teachers enough for their idea to establish the schools committee system. The students were really engaged and I can see some real community leaders in the making. If you would like me to visit your school to talk about what I do and why getting involved in politics is so important, please do not hesitate to contact me via email or call my constituency office.